Samantha was born and raised in Northern California. Her husband, Eric was transferred to Ellsworth AFB and now they call the Black Hills their home. She has a degree in Journalism and a minor in Digital Media from CSU Sacramento. 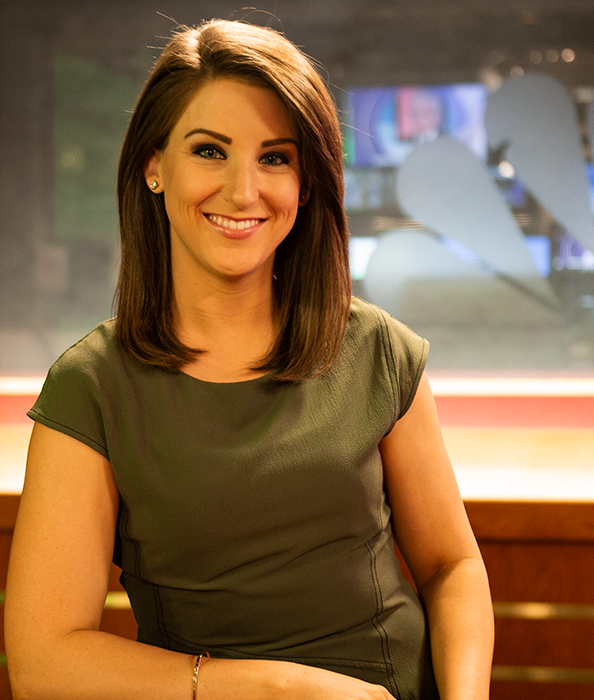 Samantha has a background in television news, as well, as in radio news. She was the former Executive Producer and reporter for NewsRadio KFBK in Sacramento and even spent some time at an NBC/FOX station in Reno, Nevada. Samantha and her husband love exploring the outdoors to fish, hunt, and hike. Samantha especially enjoys playing in the snow, listening to country music, trying new restaurants and watching Disney movies.